At Pat’s Driveline, we know that you can’t afford to run with a damaged gearbox. 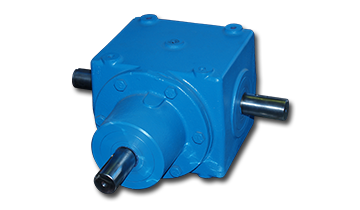 When needing a replacement, you can count on Pat’s Driveline to deliver the best unit available for your application. We carry a vast catalogue with a variety of frame sizes and configurations. We can also help you design a power transmission configuration that works efficiently and effectively. From agricultural to oilfield to industrial machinery and food handling; we can assist in supplying complete units. Whatever your equipment, satisfaction is guaranteed! Does your gear box only need to be rebuilt? Well that’s the benefit of using Pat’s Driveline. Before quoting you a new unit, we will tear down and estimate the cost to rebuild your existing one. This can result in significant cost savings.